Supporting Red Fang and Torche! 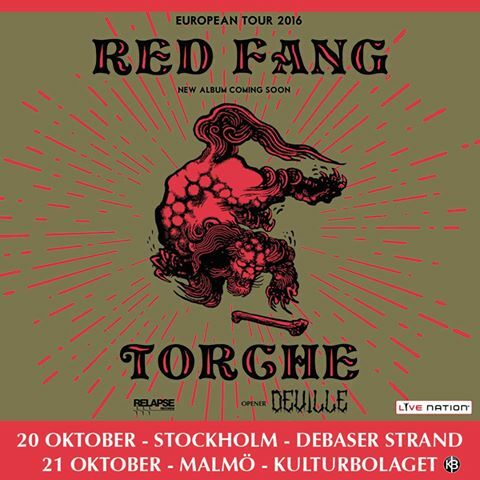 DEVILLE are very proud to be announced, in an association with Live Nation Sweden, as support to RED FANG and Torche in Sweden at Debaser in Stockholm 20:th of October and at Kulturbolaget in Malmoe the 21:st of October! “What Remains” video out now! “What Remains” taken from the album “Make It Belong To Us”. Here we go! New lineup! 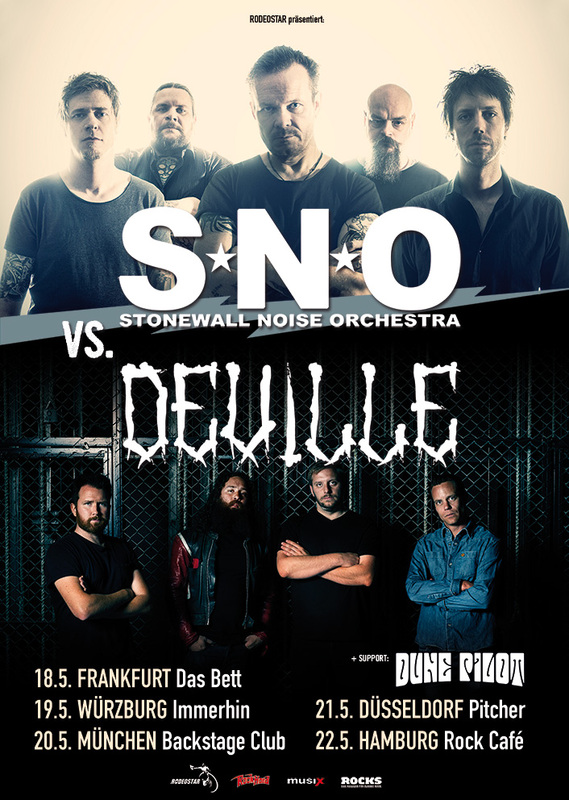 It is time to announce the new lineup! 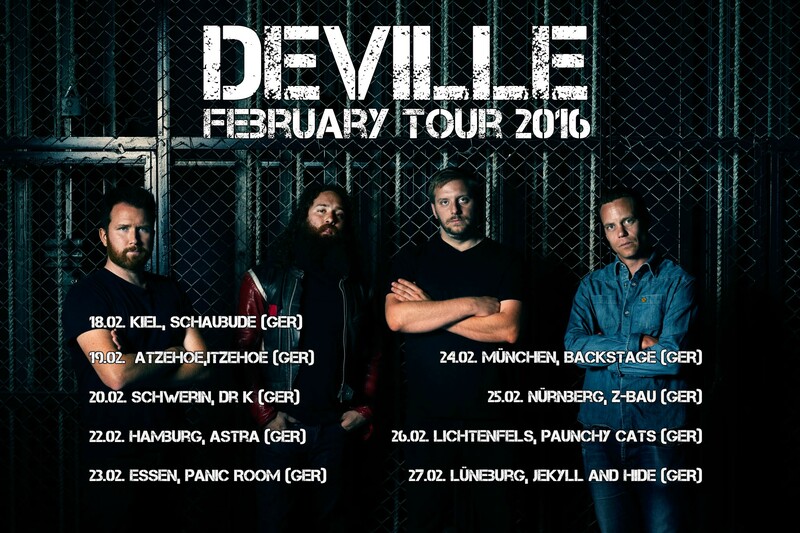 DEVILLE welcomes two familiar faces of the music scene in Malmoe. On bass we are now proud to have Martin Nobel, last known from soul rockers Bad Barber. He is, as many of you might know, one of Malmoe´s best rock guitarists so having him on board on bass will for sure add new dimensions to the riffs. And last but definitely not least we are, after months and months of searching, excited to announce Martin Fässberg on drums. This is a guy who has been touring the world with punk rockers, Quit Your Dayjob and has the routine and skills to take the drum chair in Deville. Being in the underground rockscene for a while he is also known from bands such as SUMA and Psykonauten. A big welcome guys! Now, let´s tour! 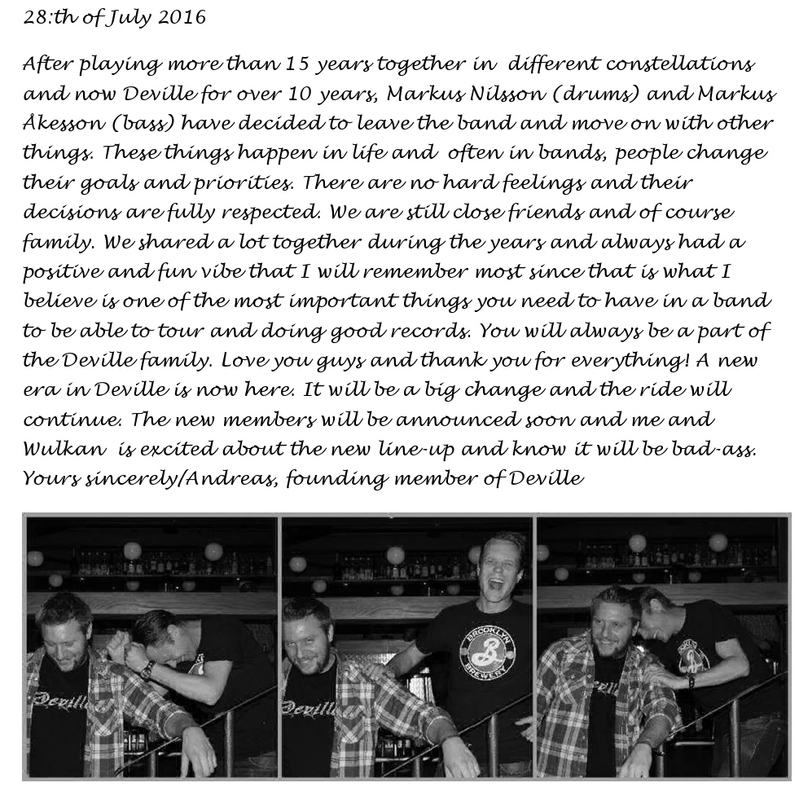 Markus Nilsson and Markus Akesson leaves Deville. Deville are doing some shows and festivals back home this summer and two of these are in Varberg at Backstage , Saturday 23:rd of July and in Malmö at Malmöfestivalen, Friday 19:th of August. Full schedule at Rockstage, Malmöfestivalen here. Just back from Germany Deville will head down again the 18-19:th of March and are invited as special guests at Monolith´s release party in Bremen at Lagerhouse. 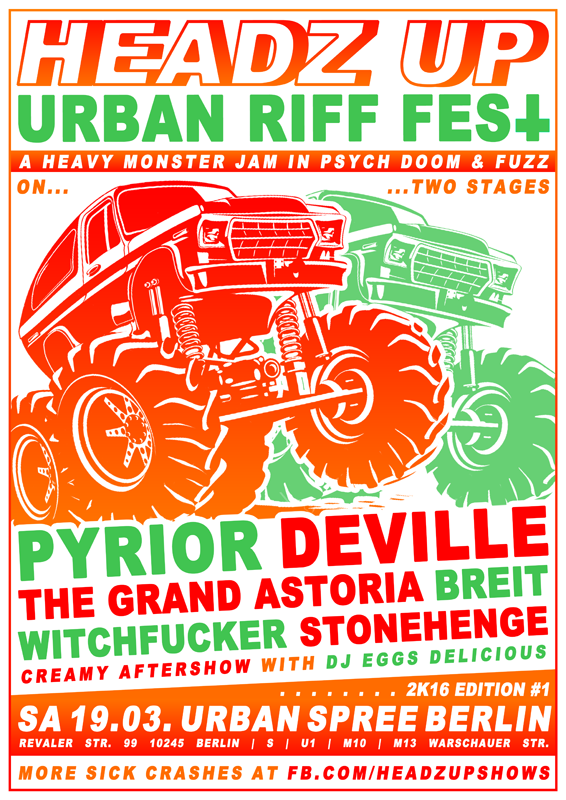 Continuing to headline Headz Up Urban Riff Fest in Berlin the day after at Urban Spree. Win a T-Shirt and a CD! 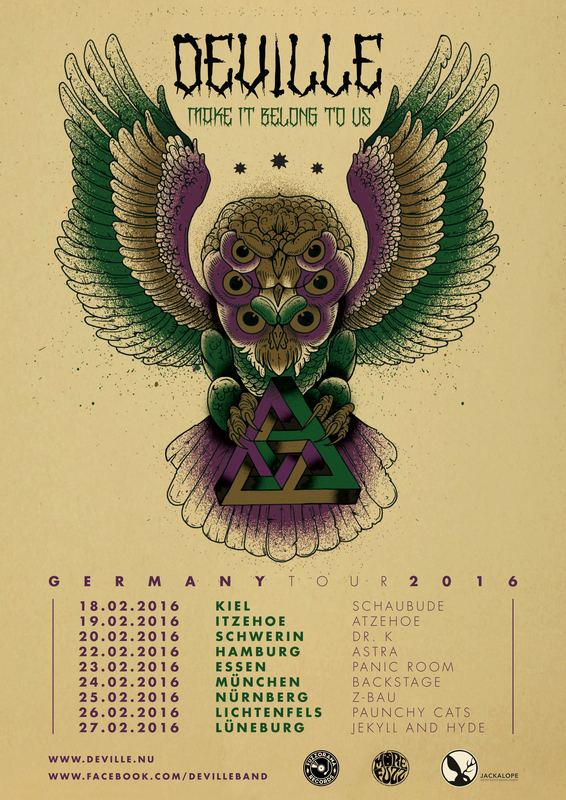 Germany tour starts this week and you can win a T-shirt and a CD at More Fuzz. Get over there and sign up! Greece and Sweden in January. 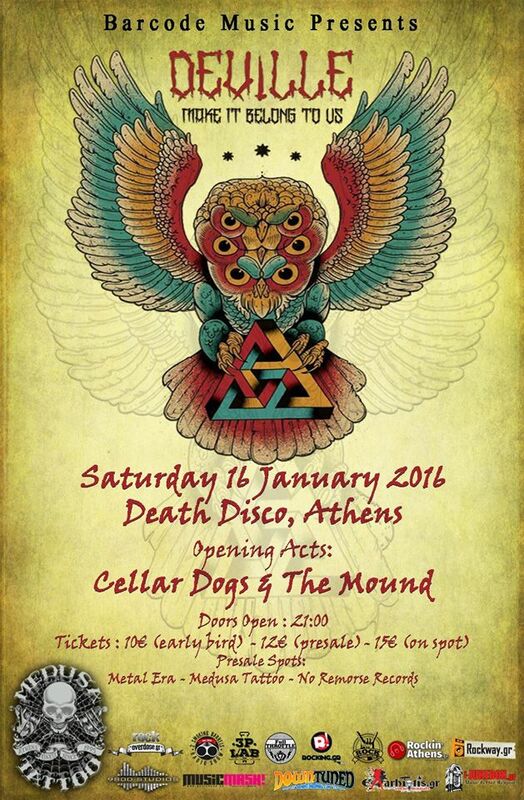 Deville will head down to Athens,Greece for the first time and do a show on Saturday 16/2! 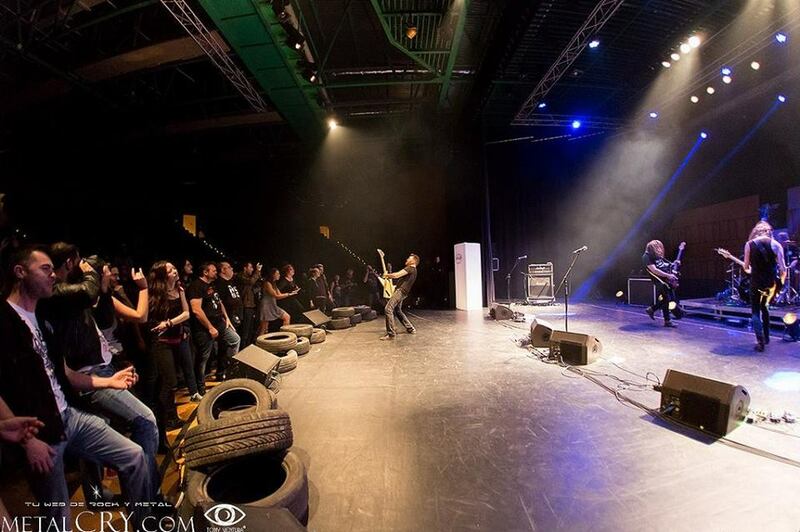 There will also be a show in Sweden in Lund at Mejeriet, Friday 29/1. Believe it or not sometimes we play in our home country. Let this be our late release party for our new record!